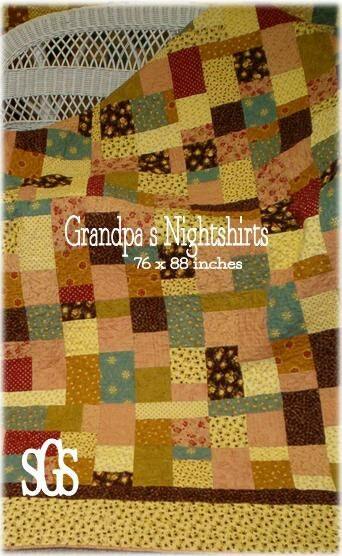 PDF Grandpa's Nightshirts pattern is 76 x 88 inches. It has clear directions printed in black and white along with a color front. Pattern uses a variety of prints from Cinnamon Stars (Fig Tree) and Wuthering Heights (3 Sisters) to print to life this patchwork quilt. Pattern is fat quarter friendly. Pattern designed by April Zimmer for Sweetwater Cotton Shoppe.